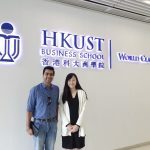 Home Blog A Second MBA from ISB – Possible? A Second MBA from ISB – Possible? 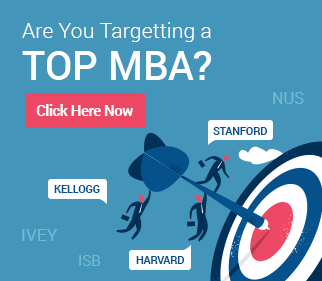 Considering a second MBA from ISB? 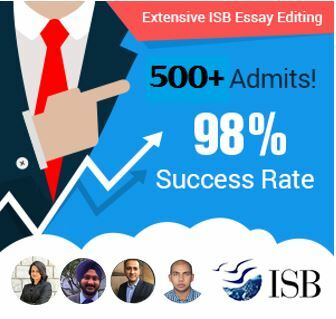 Every year, Indian School of Business (ISB) gets applications from thousands of applicants, a small but not insignificant portion of which comprises applicants who are seeking a second MBA from ISB. The reasons behind this choice could be many – career stagnation, insufficient learning from a first MBA, an industry or function change, or simply a desire to put one’s career on the fast track through a ‘premium’ MBA. All of these reasons (and more) are valid, and in this article we explore the viability of pursuing the second MBA from ISB. We also discuss some advantages and even disadvantages of pursuing that path. The first question that comes to mind when one decided to apply for a second MBA is simply whether ISB would be willing to consider for admission someone who already has an MBA. The answer to this question is a resounding yes, and every year, ISB does admit a number of applicants who already have an MBA. This does not mean, though, that the first MBA that your application path is the same as it would be for someone who is applying to an MBA for the first time. You will need to explain the rationale for pursuing the first MBA, and then explain why you believe that the ISB MBA will be a step ahead. Perspectives involving more money or faster career growth, though, need to be managed and put forward carefully. The ISB Admissions committee, at least in the interview stage, is likely to delve deep into why your first MBA was not enough to give you those. Second MBA applicants, though, also have some distinct advantages when applying to ISB. They have already worked in business roles, and therefore have a more mature market and functional view. They also tend to have clearer MBA goals and a better response to what they would need from an MBA (the second time round). This often helps them build stronger applications. Another question we often get from applicants is around whether they should even highlight the fact that they have a first MBA. Our response is what it has always been – always be fully truthful on your application. Do not hide or mis-represent any information. Not only is it unethical, but you could build an equally strong application by following the truthful path. We are sure that you as an applicant have already got your reasons for wanting to consider a second MBA. In this article, we list some (not exhaustive) common reasons that applicants in general have, and the advantages they could reap from a second MBA. – A change in function or industry is one of the most common reasons for wanting a second MBA. Many applicants, at least in the Indian system, plunge headlong into their first MBA right after their Bachelor’s program, and aren’t sure about the career choices they make. A second MBA can help make the move later in one’s career. – Advanced education along a particular line of work that may not have been possible during the first MBA. Not all MBA programs are created equal, and at the time that the applicant was pursuing his/her first one, there may not have been too many opportunities aligned to a particular area of interest. A second MBA from ISB can certainly help. – Some applicants, after having worked for a number of years for an employer, may have a wish to start their own business. For this, advanced insight into particular areas, the resources for supporting a new business, and the networking that one would get at a top-tier program such as the ISB PGP would be of immense help. This is a very valid reason for an MBA. Applying to the ISB PGP? GyanOne has deep experience in helping hundreds of applicants make it to the ISB PGP. Contact us today! to know how we can help you to succeed too, or just for a free profile evaluation! – Some applicants go into a second MBA from ISB assuming that it will automatically lead to a quantum jump in salary and/or designation. While this does happen in some cases, in many others, it may not. A lot depends on your transferable skills to your new role, your experience and achievements in your earlier one, and even your earlier salary levels and designation. – The ‘tag’ of graduating from a ‘premium’ MBA program is another thing that is fleeting. Just a year or so later, you will be judged almost completely by the work you do rather than the school you graduated from. The premium MBA tag may not lead to faster career progression on its own either. – Quite a few applicants we speak to every year indicate that they are pursuing a second MBA to be able to ‘get into their dream firm’. Common examples of such dream firms are McKinsey and Company, BCG, Goldman Sachs, Amazon, or JP Morgan. While these do recruit from ISB, they are highly selective, and they ultimately recruit only a few people. Keep that in mind as you aspire, and be ready with a backup that you would not be disappointed with. – Calculate the broad opportunity cost you will bear when out of the workforce for a year. If you have a family or loans, this calculation is even more serious. Do not assume a quantum jump in salary post second-MBA. – If planning to return to your current employer in a better role, ensure that you have entered into the relevant discussions beforehand and are not assuming things.